…and Anne Frank, afternoons, and autumn. Nothing is quite as comforting as a cold beer when you’re in a strange place and you’ve spent two hours walking about – in sidewalk surfers nonetheless. Despite years of traveling, I still find myself pitiably unprepared for cold weather. Walking into the wind with my sweater pulled tightly and inadequately around me, it seemed almost impossible to think that just two days ago I’d been sweating in the unrelenting Cairo heat, shutting the classroom windows while a cow was slaughtered on the basketball court outside. Eid, as in years past, would be full of heat and dust, and I would happily be immersed in the forgiving chill of autumn somewhere far away. 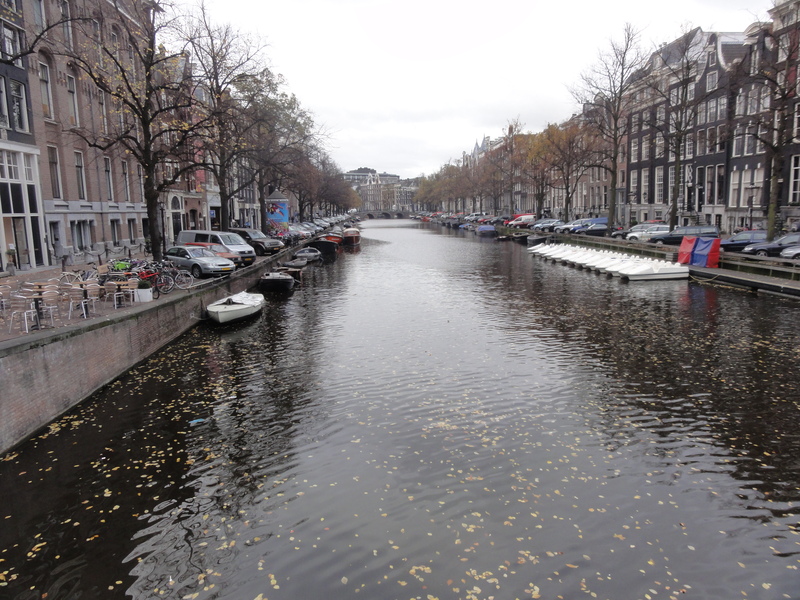 Much like South Africa, Amsterdam welcomed me with crisp, fall air and a silence as unfamiliar to me as the changing seasons. 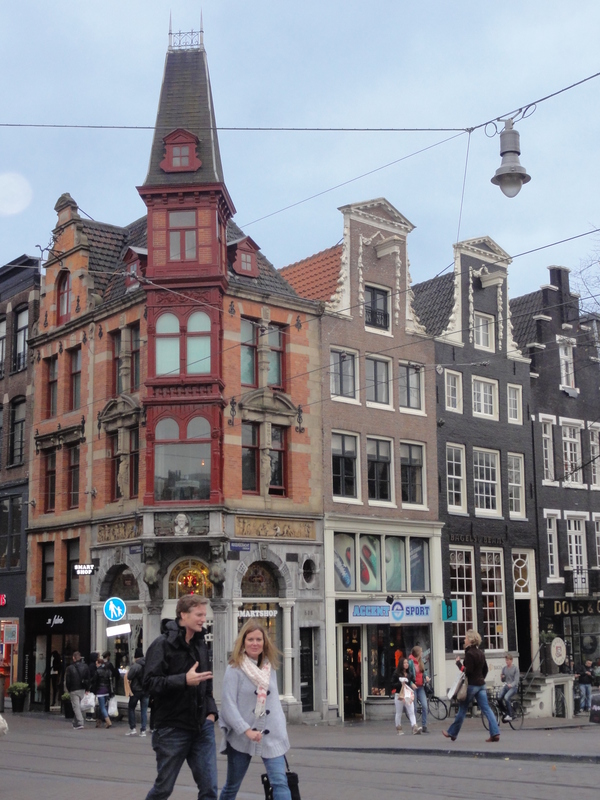 Amsterdam is a city without the qualities that make a city a city. As I merrily strolled along tree-lined residential streets, I felt the queer quiet all around. No horns, no shouting. Even the pair of children who darted past me, shrieking as they raced down the street without fear of being mowed down by a garbage truck, seemed to scream silently. To your grave disappointment, I did not plan to visit Amsterdam’s notorious red-light district or feast on pot brownies at a local cafe. Sleepy and uninterested in getting hopelessly lost, I had my sights set only on the Anne Frank house. The woman at the hotel informed me that the museum was quite far and she advised me to take a tram. This I did rather unsuccessfully. Apparently, my time in Cairo has divested me of the ability to operate normally on public transportation: it wasn’t until two stops past my destination that I realized you had to press a button to open the doors. I have a new sympathy for Will Ferrell’s character in Elf. 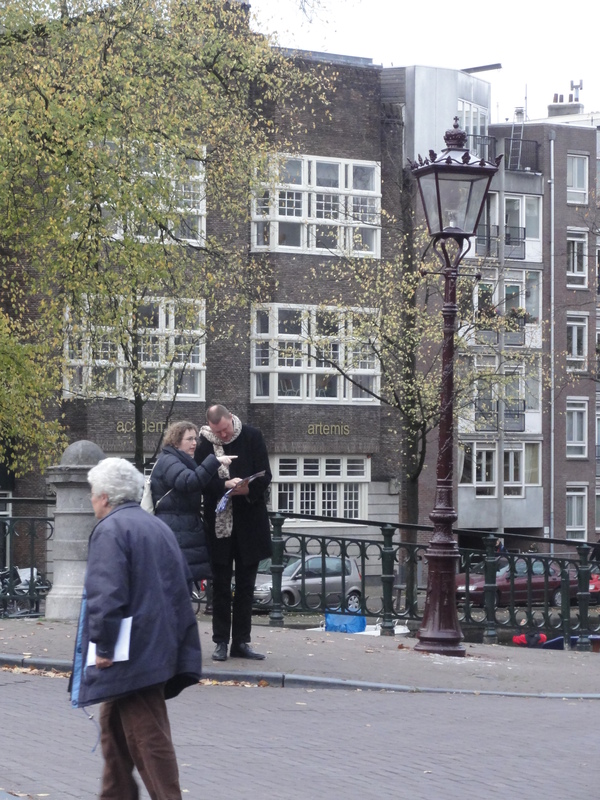 Of course, I was still nowhere near the Anne Frank house. An employee of a nearby vitamin shop pointed me ten minutes down the road. It was a lovely walk. The fall foliage was refreshing in all of its bucolic beauty. 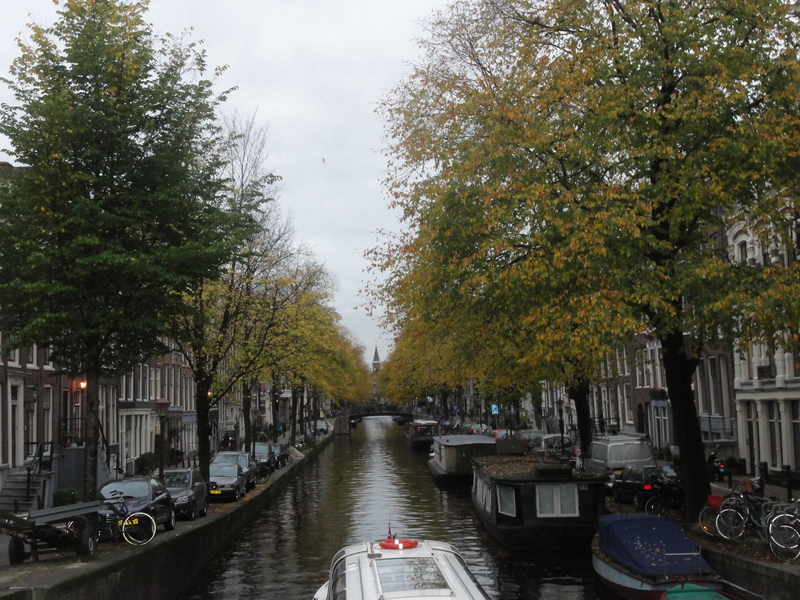 Despite perpetually cloudy skies, the yellow leaves brightened the city, floating in the numerous canals that churned inkily forward beneath arching bridges. 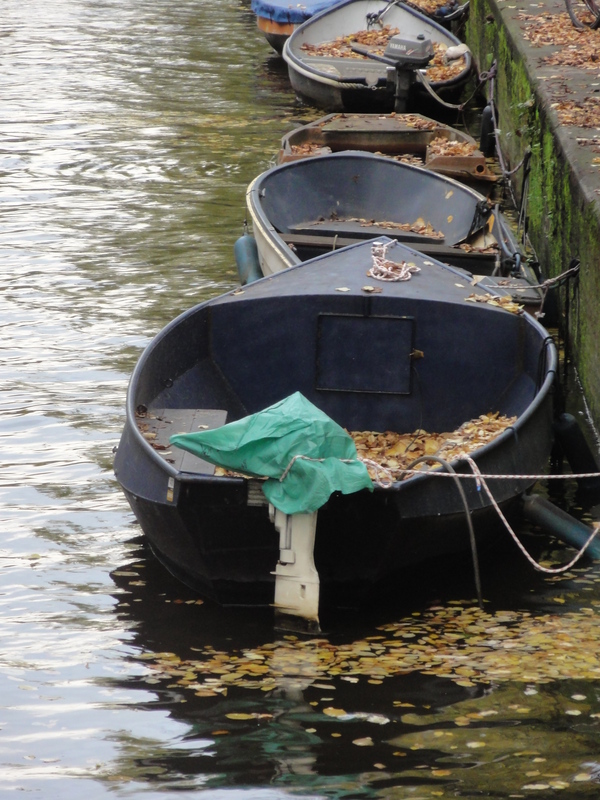 Dozens of boats bobbed with enviable lethargy below, loosely tethered to the canal walls. 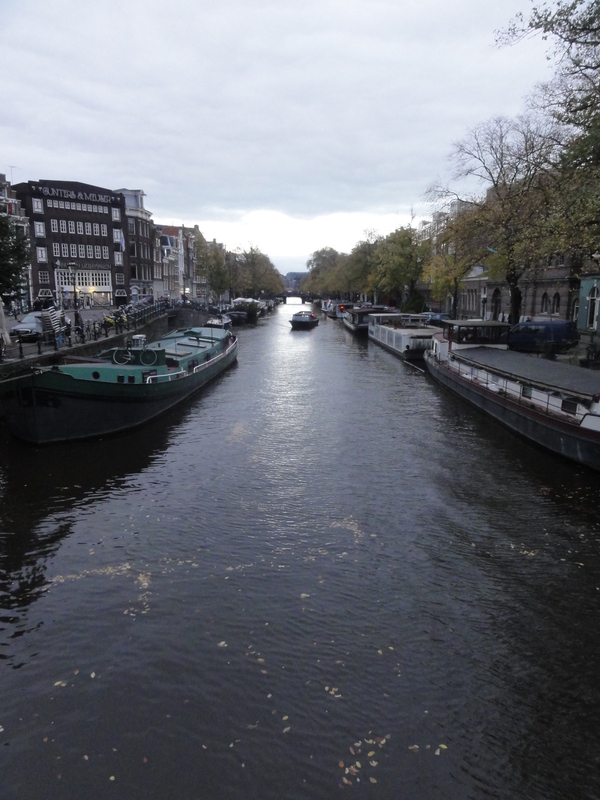 It was a far cry from Egypt’s Hulk-green, stagnant waterways whose trash does not bob because the piles stretch all the way down to the canals’ turbid bottoms. As you might expect, the Anne Frank house is a bit morose. For me, it was a constant feeling of both awe and gloom: I was literally standing in the exact same space that Anne and her family occupied. I was in the annex, up the stairs once concealed by the still-standing bookcase. The windows are still blacked out upstairs and the rooms are cramped. It is a despairing and heavy thought, imagining what it was like to live there for nearly two years in absolute secrecy, the world chugging along outside and you stuck apart from it, crippled with fear. And then to think of how they were among the last people deported from the Netherlands. And how Bergen-Belsen was liberated just a month after Anne and her sister Margot died of typhus. It is a crushing thing. The museum itself preserves their history very respectfully. The original diaries are on display in thick glass cases, the annex is empty of furniture (it was removed by the Nazis and Otto Frank wished to keep it that way in an effort to preserve the authenticity), and each room provides visitors with plenty of information regarding the room’s purpose and history. It was a very unique experience, standing in a place I’ve read about since 8th grade. It made me yearn to teach her story to my kids but alas, I am not allowed to mention the Holocaust. 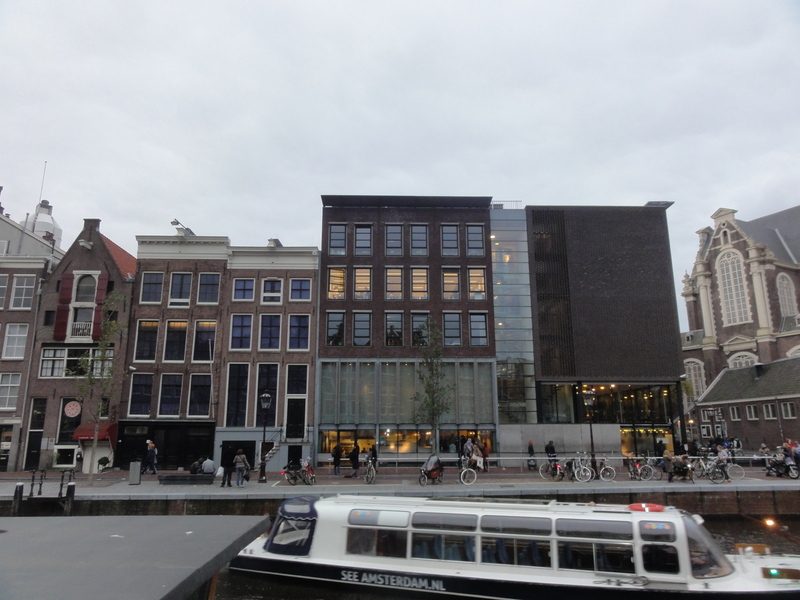 The Anne Frank house is the larger one with the bright windows. No photography is permitted inside. I landed at a place called Heineken Hoek that overlooked the square and found friendly staff and a juicy cheeseburger – and a mouse nibbling crumbs off the floor. He looked to be in good health, at least. As I sat at the window watching evening settle into the city, I felt as though I could be anywhere in the world. Coat-snuggling commuters gathered across the street waiting for trams, which would arrive at the scheduled time flashing reliably on the sign overhead. Don’t get me wrong: I loved the amicable, smiling faces around me, the wonderfully environmentally conscious character of the city. But it made me realize what it is I love so dearly about Cairo, that one poignant factor that enables me to overlook the polluted landscape that will probably cause me ailing lungs at 35, the stinking heaps of trash, the reprehensible absence of sidewalks. It is Cairo’s unpredictability that is alluring. It is precisely this absence of sidewalks that makes it exciting: when you find yourself on one, it is pleasantly surprising. If the grocery store has creamed corn, you are ineffably elated. On the rare occasions that you arrive home from work on time, you become overwhelmed with the infrequent gift of extra time. Life in Cairo is brilliant because there is nothing to expect. Cairo makes no promises. There are no digital displays of train times, no suggestions posted on the highways as to how long it will take to reach wherever it is you’re heading. The greater portion of the western world has come to be dizzyingly predictable. But Cairo, in its post-revolution chaos, has not. And all of its shortcomings, its disappointments, they instill a new sense of appreciation and gratitude for when you do return to the western world and buy everything you need at one supermarket that opens when it claims it will. So Amsterdam has played its role effectively. I paid a lot of money for efficiency, for the predictable comfort of a hotel, dependable transportation, and Starbucks seasonal lattes. I would love to come back here and explore the red-light district, the Van Gogh museum, the Heineken factory, and cartwheel through a tulip field in a frock while a windmill whirls lazily in the hills beyond. 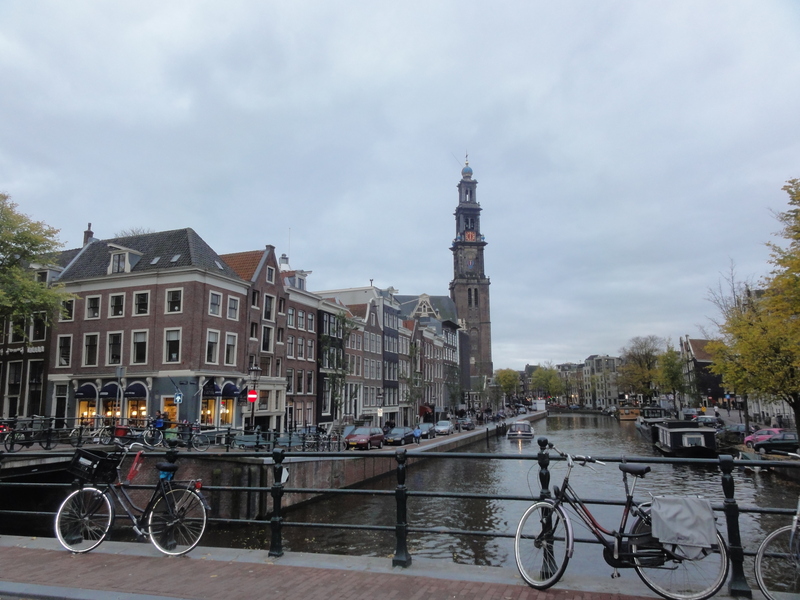 And one day I will, but for now, I am quite content with my brief trip to Amsterdam and will fall asleep easily with the delightfully surprising fact that I found my way back to my hotel without incident. This is my favorite so far. An unexpected and thought-felt commentary on Cairo. Nice. Also, I learned a new word: perambulate. Just saw this! Thanks : ) Your feedback is always much appreciated! Perambulate is a new word for me, too! haha. The Anne Frank Haus is my most favourite museum ever. It’s such a distinct feeling visiting that place and you did a wonderful job portraying it. Thank you – that is a great compliment. It really was hard to describe, but you’re right when you say it’s certainly a distinct feeling.